ASUS ZenPad Z10--Will include charger and cable. Has minor cosmetic imperfections such as scratches. 8/10 condition. Refurbished Verizon unit w/out sim card. Been using it for about a month. Strictly over wi-fi, Decent speed and capacity. Upgraded to Android Marshmallow. Grabbed a couple of basic apps. Installed a 64Gb Sandisk memory card. Now and then the home button acts flakey. Otherwise, so far so good. Generally happy with it. Looks like a new tablet. Works great. Easy to set up. Compatible with the Verizon network. Came with a charger but not the original. Well worth the price. almost new condition and hard to find even one scratch. very satisfied! strongly recommendable. thx. 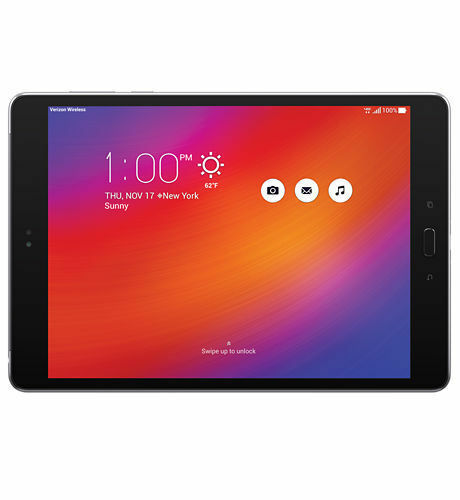 This is a great tablet for the price. Powerful enough for my kid to play ROBLOX and for me to play PUBG without lag, stutters or terrible resolution. Awesome! Good value definitely I am impressed with their product even if it is refurbished.